Friedrich Wilhelm von Steuben was a Prussian army officer who served as inspector general of the Continental Army during the American Revolutionary War. He is credited with teaching the Continental Army the essentials of military drill and discipline, helping to guide it to victory. Ethnic Germans served on both sides of the American Revolutionary War. Many supported the Loyalist cause and served as allies of Great Britain, whose King George III was also the Elector of Hanover. Germans, particularly from the Rhineland region bordering the French kingdom commonly served in the Bourbon army. Other Germans came to assist the rebelling American patriots, but most of the Germans who were patriots were colonists. The fate of the German auxiliaries that fought in the American revolution. During the American Revolution, there were many German-speaking states loosely unified under the Holy Roman Empire. Many of these states were officially Lutheran, making them traditional allies of other Protestant nations, such as the Kingdom of Great Britain, whose king, George III, was also the Prince-elector of Hanover in the Holy Roman Empire. King George III came from an ethnic German family and was the first of the British royal House of Hanover to speak English as his first language. Great Britain formed strong German alliances during the Diplomatic Revolution of 1756 and during the Seven Years' War had combined forces with Frederick the Great of Prussia to form a coalition that functioned as one Army. When the British colonies in America rebelled a decade later, several German-speaking states contracted soldiers to the British Army. Although the leasing of soldiers to a foreign power was controversial to some Europeans, the people of these continental states generally took great pride in their soldiers' service in the war. In some instances, ethnic Germans even enlisted directly into British units, such as the 60th Regiment of Foot. The financial basis of several smaller continental states was the regular rental of their regiments to fight for various larger nations during the 18th century. Historian Charles W. Ingrao examines The Hessian Mercenary State: Ideas, Institutions, and Reform under Frederick II, 1760-1785 (2003). The mercenaries of Hesse were very well trained and equipped; they fought well for whoever was paying their prince. At the conclusion of the war, Congress offered incentives—especially free farmland—for these ethnic Germans to remain in the United States. Great Britain also offered land and tax incentives to its continental soldiers willing to settle in Nova Scotia. The Landgraviate of Hessen-Kassel, under Frederick II, an uncle of King George III, initially provided over 12,000 soldiers to fight in the Americas. Like their British allies, the Hessians had some difficulty acclimatizing to North America; the first troops to arrive suffered from widespread illness, which forced a delay in the attack on Long Island. From 1776 on, Hessian soldiers were incorporated into the British Army serving in North America, and they fought in most of the major battles, including those of New York and New Jersey campaign, the Battle of Germantown, the Siege of Charleston, and the final Siege of Yorktown, where about 1,300 Germans were taken prisoner, although various reports indicate that the Germans were in better spirits than their British counterparts. It has been estimated that Hessen-Kassel contributed over 16,000 troops during the course of the Revolutionary War, of whom 6,500 did not return. Hessian officer (later General) Adam Ludwig Ochs estimated that 1,800 Hessian soldiers were killed, but many in the Hessian army intended on staying in America, and remained after the war. Because the majority of the German-speaking troops came from Hesse, modern Americans sometimes refer to all such troops of this war generically as "Hessians". Hessen-Kassel signed a treaty of alliance with Great Britain to supply fifteen regiments, four grenadier battalions, two jäger companies, and three companies of artillery. The jägers in particular were carefully recruited and well paid, well clothed, and free from manual labor. [Note 1] These jägers proved essential in the "Indian style" warfare in America, and Great Britain signed a new treaty in December 1777 in which Hessen-Kassel agreed to increase their number from 260 to 1,066. German-speaking armies could not quickly replace men lost on the other side of the Atlantic, so the Hessians recruited African-Americans as servants and soldiers. There were 115 black soldiers serving with Hessian units, most of them as drummers or fifers. Perhaps the best-known officer from Hessen-Kassel is General Wilhelm von Knyphausen, who commanded his troops in several major battles. Other notable officers include Colonel Carl von Donop (mortally wounded at the Battle of Red Bank in 1777) and Colonel Johann Rall, who was fatally wounded at the Battle of Trenton in 1776. Rall's regiment was captured, and many of the soldiers were sent to Pennsylvania to work on farms. Hessen-Hanau was a semi-independent appendage of Hessen-Kassel, governed by the Protestant Hereditary Landgrave William, eldest son of the Roman Catholic Frederick II of Hessen-Kassel. When William received news of the Battle of Bunker Hill in 1775, he unconditionally offered a regiment to King George III. During the course of the war, Hanau provided 2,422 troops; only 1,441 returned in 1783. A significant number of Hessian soldiers were volunteers from Hanau, who had enlisted with the intention of staying in the Americas when the war was over. Colonel Wilhelm von Gall is one well-known officer from Hessen-Hanau; he commanded a regiment from Hanau under General John Burgoyne. Among the units sent to North America were one battalion of infantry, a battalion of jägers, a battalion of irregular infantry known as a Frei-Corps, and a company of artillery. Prince Carl of Brunswick-Wolfenbüttel was a brother-in-law of King George III of Great Britain. Braunschweig-Lüneburg, or Brunswick(-Lüneburg), was a duchy divided into sub-districts, one of which was ruled by George III. Duke Charles I of Brunswick-Bevern was Duke of Brunswick-Wolfenbüttel; his son and heir, Charles William Ferdinand, was married to Princess Augusta of Great Britain, the sister of George III. The territory, called a "Duchy," was a principality of the Holy Roman Empire. In 1775 Charles William Ferdinand ("Prince Carl") told King George III that Brunswick had soldiers who could be used to help put down the rebellion in the Americas. Brunswick was the first German-speaking state to sign a treaty supporting Great Britain, on 9 January 1776. It agreed to send 4,000 soldiers: four infantry regiments, one grenadier battalion, one dragoon regiment and one light infantry battalion. The Brunswick treaty provided that all troops would be paid in Imperial Thalers – including two months' advance pay, but required that all troops take an oath of service to King George III. A controversial clause in the agreement stipulated that Duke Charles I would be paid ₤7 and 4s to replace each Brunswick soldier killed in battle- with three wounded men equal to one dead man; Charles, however, would pay to replace any deserters or any soldier who fell sick with anything other than an "uncommon contagious malady." Duke Charles I provided Great Britain with 4,000 foot soldiers and 350 heavy dragoons (dismounted)[Note 2] under Lt-Colonel Friedrich Baum, all commanded by General Friedrich Adolf Riedesel. These soldiers were the majority of the German-speaking regulars under General John Burgoyne in the Saratoga campaign of 1777, and were generally referred to as "Brunswickers." The combined forces from Brunswick and Hesse-Hanau accounted for nearly half of Burgoyne's army, and the Brunswickers were known for being especially well-trained. Riedesel's Brunswick troops made a notable entry into the Battle of Hubbardton, singing a Lutheran hymn while making a bayonet charge against the American right flank, which may have saved the collapsing British line. Riedesel's wife, Friederike, traveled with her husband and kept a journal which remains an important primary account of the Saratoga campaign. After Burgoyne's surrender, 2,431 Brunswickers were detained as part of the Convention Army until the end of the war. Brunswick sent 5,723 troops to North America, of whom 3,015 did not return home in the autumn of 1783. Some losses were to death or desertion, but many Brunswickers became familiar with America during their time with the Convention Army, and when the war ended, they were granted permission to stay by both Congress and their officers. Many had taken the opportunity to desert as the Convention Army was twice marched through Pennsylvania German settlements in eastern Pennsylvania. As the Duke of Brunswick received compensation from the British for every one of his soldiers killed in America, it was in his best interest to report the deserters as dead, whenever possible. The Duke even offered six months' pay to soldiers who remained or returned to America. The dual Margraviates of Brandenburg-Ansbach and Brandenburg-Bayreuth, under Margrave Charles Alexander, initially contributed 1,644 men to the war in two infantry battalions, one company of jägers and one of artillery, of whom 461 did not return home. A total of 2,353 soldiers were sent from Ansbach-Bayreuth, including an entire regiment of jägers. These troops were incorporated into Howe's army in New York and were part of the Philadelphia campaign. Ansbach-Bayreuth troops were also with General Cornwallis at the Siege of Yorktown, with a force of nearly 1,100 troops. The Ansbach and Bayreuth regiments are remembered for a mutiny that occurred in Ochsenfurt. The soldiers were loaded onto boats on the Main River, but could not cross the bridge, which the Bishop of Würzburg, Adam Friedrich von Seinsheim, refused to open. In addition, the soldiers were forced to stand through the night in the over-crowded boats. On the morning of 8 March 1777 some Ansbach soldiers managed to get to the bank of the river and pulled the other boats to land. Wine merchants from Ochsenfurt soon arrived and sold drink to the soldiers. The officers tried to address their concerns, but some men deserted. Chasseurs were posted to keep men from deserting, and fired warning shots; the mutineers returned fire. When the Margrave of Ansbach received word of the riot, he rode through the night to get to Ochsenfurt. The Margrave convinced his soldiers to reboard the boats and provided two additional boats to alleviate crowding. The Margrave sailed with them as far as Mainz, where he succeeded in getting a bridge opened in that city, without the consent of the Elector, Friedrich Karl Joseph von Erthal. The Margrave of Ansbach-Bayreuth was deeply in debt when the war broke out, and received more than £100,000 for the use of his soldiers. In 1791 he sold Ansbach and Bayreuth to Prussia and lived the rest of his life in England on a Prussian pension. Waldeck had made a treaty to support Great Britain in London on 20 April 1776. Prince Friedrich Karl August of Waldeck kept three regiments ready for paid foreign service. The first of these regiments, with 684 officers and men, sailed from Portsmouth in July 1776 and participated in the New York campaign. During the campaign the Waldeck regiment captured wine and spirits belonging to American General Lee and were embittered towards the British General Howe when he made them empty the bottles by the roadside. The Waldeck troops were integrated into the German auxiliaries under Hessian General Wilhelm von Knyphausen. Waldeck contributed 1,225 men to the war, and lost 720. Five battalions of troops of the Electorate of Brunswick-Lüneburg, whose Elector was none other than the British King George III, were sent to Gibraltar and Menorca to relieve the British soldiers stationed there, who could then be sent to fight in America. This was not ordered by King George, but was part of a treaty with Hanover, authorized by Parliament, in which Great Britain agreed to protect its Hanoverian allies and pay their wartime expenses. These Hanoverian soldiers were defenders during the Great Siege of Gibraltar, the largest and longest battle of the war, and in the defense of Menorca. Late in the war, two regiments from Hanover were sent to British India, where they served under British command in the Siege of Cuddalore against a combined French and Mysorean defense. The Prince of Anhalt-Zerbst, Frederick Augustus signed a treaty to provide Great Britain with 1,160 men in 1777. The Regiment of two battalions was raised in five months, and consisted of 900 new recruits. One battalion of 600–700 men arrived in the Canadas in May 1778 to guard Quebec City. The other, consisting of some 500 "Pandours" (irregular soldiers recruited from Slavic lands within the Austrian Empire) was sent in 1780 to garrison British-occupied New York City. Whether these troops could function as irregular light infantry has been much debated, although they were described by contemporary accounts as Pandours. Frederick Muhlenberg, first Speaker of the House and son of German immigrants, studied theology in Saxony-Anhalt. German immigration to the British colonies began soon after English colonists founded Jamestown. In 1690 German colonials built the first paper mill in North America, and the Bible was printed in America in German before it was printed in English. By the mid-18th century, approximately 10% of the colonial American population spoke German. Germans were easily the largest non-British European minority in British North America, but their assimilation and Anglicisation varied greatly. During the French and Indian War, Great Britain utilized the large German population in North America by forming the Royal American Regiment, whose enlisted men were principally German colonists. The regiment's first commander was General Henry Bouquet, a Swiss native. The regiment would later be commanded by General Howe. Other Germans came to North America during the French and Indian War, including Frederick, Baron de Weissenfels, who settled in New York State as a British officer. When the Revolutionary War began, Weissenfels deserted the British forces and served with the rebellion from 1775 until the end of the war, obtaining a Congressional commission as a lieutenant colonel. As with other ethnic groups in the British colonies, German-speaking colonists were divided, supporting both the Patriot and Loyalist causes. German loyalists fought in their local militias, and some returned to Germany in exile following the war. [Note 3] New York had a notably large German population during the war. Other colonies formed German regiments, or filled the ranks of local militias with German Americans. German colonists in Charleston, South Carolina, formed a fusilier company in 1775, and some Germans in Georgia enlisted under General Anthony Wayne. German colonists are most remembered in Pennsylvania, partly due to friendlier naturalization terms for immigrants, and also because the German soldiers in Pennsylvania stand in contrast to the large, pacifist Quaker population in Pennsylvania. Brothers Peter and Frederick Muhlenberg, for example, were first-generation Pennsylvanians who were educated at the German Francke Foundations. Pennsylvania Germans were recruited for the American Provost corps under Captain Bartholomew von Heer,[Note 4] a Prussian officer who had immigrated to Reading, Pennsylvania, prior to the war. During the Revolutionary War the Marechaussee Corps were utilized in a variety of ways, including intelligence gathering, route security, enemy prisoner of war operations, and even combat during the Battle of Springfield. The Marechausee also provided security for Washington's headquarters during the Battle of Yorktown, acted as his security detail, and was one of the last units deactivated after the Revolutionary War. Because the provost corps completed many of the same functions as the modern U.S. Military Police Corps, it is considered a predecessor of the current Military Police Regiment. On 25 May 1776, the Second Continental Congress authorized the 8th Maryland Regiment (aka the German Battalion or German Regiment) to be formed as part of the Continental Army. Unlike most continental line units, it drew from multiple states, initially comprising eight companies: four from Maryland and four (later five) from Pennsylvania. Nicholas Haussegger, a major under General Anthony Wayne, was commissioned as the colonel. John Adams hoped the German Regiment would free "natives of the country who were needed for Agriculture, Manufactures, and Commerce." The regiment saw service at the Battle of Trenton and the Battle of Princeton, and took part in campaigns against American Indians. The regiment was disbanded 1 January 1781. European Germans also came to the United States as allied soldiers. Some Germans came to the United States under the French flag. Johann de Kalb was a Bavarian who served in the armies of France before receiving a commission as a general in the Continental Army. France had eight German-speaking regiments with over 2,500 soldiers. The famous Lauzun's Legion included both French and German soldiers, and was commanded in German. There were also German soldiers and officers in the French Royal Deux-Ponts Regiment. Other Germans came to the United States to utilize their military training. Frederick William, Baron de Woedtke, for example, was a Prussian officer who obtained a Congressional commission early in the war; he died in New York in 1776. 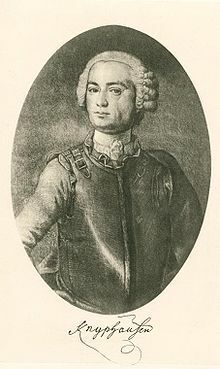 Gustave Rosenthal was an ethnic German from Estonia who became an officer in the Continental Army. He returned to Estonia after the war, but other German soldiers, such as David Ziegler, chose to stay and become citizens in the nation they had helped found. 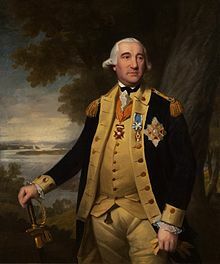 Perhaps the most well-known German to support the Patriot cause was Friedrich Wilhelm von Steuben from Prussia, who came to America independently, through France, and served under George Washington as inspector general. General von Steuben is credited with training the Continental Army at Valley Forge, and he later wrote the first drill manual for the United States Army. In June 1780 he was given command of the advance guard in the defense of Morristown, New Jersey from General Knyphausen – a battle briefly led by two opposing German generals. Von Steuben's native Prussia joined the League of Armed Neutrality, and Frederick II of Prussia was well appreciated in the United States for his support early in the war. He expressed interest in opening trade with the United States and bypassing English ports, and allowed an American agent to buy arms in Prussia. Frederick predicted American success, and promised to recognize the United States and American diplomats once France did the same. Prussia also interfered in the recruiting efforts of Russia and neighboring German states when they raised armies to send to the Americas, and Frederick II forbade enlistment for the American war within Prussia. All Prussian roads were denied to troops from Anhalt-Zerbst, which delayed reinforcements that Howe had hoped to receive during the winter of 1777–1778. However, when the War of the Bavarian Succession erupted, Frederick II became much more cautious with Prussian/British relations. US ships were denied access to Prussian ports, and Frederick refused to officially recognize the United States until they had signed the Treaty of Paris. Even after the war, Frederick II predicted that the United States was too large to operate as a republic, and that it would soon rejoin the British Empire with representatives in Parliament. ^ Jägers were offered a signing bonus of one Louis d'or coin, which was increased to four Louis d'or as Hesse tried to fill its companies with expert riflemen and woodsmen. ^ The heavy dragoons from Brunswick did not have horses and performed as foot soldiers. They were expected to acquire horses during the campaign, which led to the Battle of Bennington. ^ This refers to "Deutschland," literally "the land of the Germans," or the German states of the 18th century; there was no nation called "Germany" in the 1780s. ^ The Royal Household. "George III". Official website of the British Monarchy. Retrieved 3 March 2009. ^ Reid (2010), p. 3. ^ Lowell (1884), p. 22. ^ Eelking (1893), p. 263. ^ Krebs (2013), p. 43. ^ Ferling (2007), p. 114. ^ Eelking (1893), p. 256. ^ Eelking (1893), p. 23. ^ Ferling (2007), p. 566. ^ Ferling (2007), p. 538. ^ Ferling (2007), p. 536. ^ Eelking & (1893), p. 100–101. ^ Burgoyne (1997), p. v.
^ a b Selig, Robert A. Ph.D. "The Revolution's Black Soldiers". Retrieved 10 July 2010. ^ "After the First Battle of Trenton: Washington Crosses the Delaware, Again". Washington Crossing Historic Park. Archived from the original on 7 August 2011. Retrieved 27 April 2011. ^ Lowell (1884), p. 7. ^ Ketchum (1997), p. 93. ^ Lowell (1884), p. 8. ^ Ketchum (1997), p. 95. ^ Eelking (1893), p. 17. ^ Stephenson (2007), p. 49. ^ Ketchum (1997), p. 32. ^ Ketchum (1997), p. 137. ^ Ketchum (1997), p. 131. ^ Stephenson (2007), p. 294. ^ Smith (1973), p. 2. ^ a b Smith (1973), p. 1. ^ Smith (1973), p. 3. ^ Eelking (1893), p. 267. ^ a b Lowell (1884), p. 11. ^ Burgoyne (1997), p. v, ix. ^ Eelking (1893), p. 105. ^ Eelking (1893), pp. 203, 209, 214. ^ Lowell (1884), p. 277. ^ a b Krebs (2013), p. 53. ^ Krebs (2013), p. 54. ^ Lowell (1884), p. 48–50. ^ Lowell (1884), p. 12. ^ Eelking (1893), p. 47. ^ Eelking (1893), p. 50. ^ Rosengarten (1886), p. 62–63. ^ Eelking (1893), p. 238. ^ "Chapter 2: The Revolt of Pontiac and the American Invasion. The German Presence". Canadian Military Heritage. Retrieved 9 July 2010. ^ Bobrick (1997), p. 41. ^ Wolf (1993), p. 263. ^ a b Rosengarten (1886), p. 11. ^ "A brief memoir of the late Colonel Frederick Baron de Weissenfels". Library of Congress. ^ Bobrick (1997), p. 482. ^ Rosengarten (1906), p. 18. ^ Rosengarten (1886), p. 10. ^ Horn, Joshua (9 November 2015). "Peter Muhlenberg: The Pastor Turned Soldier". Journal of the American Revolution. Retrieved 29 November 2015. ^ a b Valuska, David L., Ph.D. (2007). "Von Heer's Provost Corps Marechausee: The Army's Military Police. An All Pennsylvania German Unit". The Continental Line, Inc.
^ Ferling (2007), p. 340. ^ a b "Order of the Marechaussee" (PDF). 26 (2). Fort Leonard Wood: Military Police Regimental Association. Spring 2015: 8. Retrieved 5 December 2015. ^ a b c Stephenson (2007), p. 30. ^ Rosengarten (1886), p. 103. ^ Rosengarten (1886), p. 110–111. ^ Marston (2003), p. 20. ^ Lockhart (2008), p. 225–227. ^ Commager (1958), p. 994. ^ Rosengarten (1906), p. 5. ^ Rosengarten (1906), p. 13. ^ Rosengarten (1906), p. 14. ^ Rosengarten (1886), p. 22. ^ Lowell (1884), p. 50. ^ Rosengarten (1906), p. 17. ^ Rosengarten (1906), p. 19. Bobrick, Benson (1997). Angel in the Whirlwind. The Triumph of the American Revolution. New York: Simon & Schuster. ISBN 0-684-81060-3. Burgoyne, Bruce E. (translator and editor); von Feilitzsch, Heinrich Carl Philipp; Bartholomai, Christian Friedrich (1997). Diaries of Two Ansbach Jaegers. Bowie, Maryland: Heritage Books, Inc. ISBN 0-7884-0655-8. Commager, Henry Steele; Richard B. Morris (1958). The Spirit of Seventy-Six. The story of the American Revolution as told by its participants. Castle Books; HarperCollins Publishers. ISBN 0-7858-1463-9. LCCN 67011325. Eelking, Max von (1893). The German Allied Troops in the North American War of Independence, 1776–1783. Translated from German by J. G. Rosengarten. Joel Munsell's Sons, Albany, NY. LCCN 72081186. Ferling, John (2007). Almost a Miracle. The American Victory in the War of Independence. Oxford University Press, New York. ISBN 978-0-19-518121-0. Hocker, Edward W. The Fighting Parson of the American Revolution: A Biography of General Peter Muhlenberg, Lutheran Clergyman, Military Chieftain, and Political Leader (1936). Huck, Stephan (2011). Soldaten gegen Nordamerika. München: Oldenbourg Verlag. Ketchum, Richard M. (1997). Saratoga: Turning Point of America's Revolutionary War. Henry Holt and Company, Inc., New York. ISBN 0-8050-4681-X. Jarck, Horst-Rüdiger (ed.)(2000). Brücken in eine neue Welt. Wiesbaden: Harrassowitz. Krebs, Daniel (2013). A Generous and Merciful Enemy. Life for German Prisoners of War during the American Revolution. Norman: University of Oklahoma Press. ISBN 978-0-8061-4356-9. Lockhart, Paul (2008). The Drillmaster of Valley Forge. The Baron De Steuben and the Making of the American Army. New York: HarperCollins Publishers. ISBN 978-0-06-145163-8. Lossing, Benson J (1860). The Pictoral Field-Book of the Revolution. II. New York: Harper & Brothers. Marston, Daniel (2003). The American Revolution, 1774-1783. Taylor & Francis. ISBN 978-0-415-96837-9. Reid, Stuart (2010). Frederick the Great's Allies 1756-63. Osprey Publishing Ltd. ISBN 978-1-84908-177-1. Rosengarten, Joseph George (1886). The German Soldier in the Wars of the United States. J.B. Lippencott Company, Philadelphia. ISBN 1-4286-5432-1. Rosengarten, Joseph George (1906). Frederick the Great and the United States. Harvard University. Scales, Jodie K. (2001). Of Kindred Germanic Origins. Writers Club Press. Smith, Clifford Neal (1973). Brunswick Deserter-Immigrants of the American Revolution. Heritage House, Thomson, Illinois. Stephenson, Michael (2007). Patriot Battles: How the War of Independence was Fought. New York: Harper Collins. ISBN 978-0-06-073261-5. Stone, William L.; Hund, August (1891). Letters of Brunswick and Hessian Officers during the American Revolution. Albany: Joel Munsell's Sons. ISBN 0-945726-84-8. LCCN 02003420. Wolf, Stephanie Grauman (1993). As Various As Their Land: The Everyday Lives of Eighteenth-Century Americans. New York: Harper Collins. ISBN 0-06-016799-8. This page was last edited on 24 February 2019, at 14:13 (UTC).